We have an extensive variety of Show Snaffle Bits designed by Futurity on sale now at economical pricing. Rest assured you will be given only superior value products here at our online Horse Tack Store. This Futurity Show Brown Iron Show Snaffle Bit measure 3'' in the rings and 8mm mouth and comes with a beautiful brown iron jointed bit. This product creates it's effect through a snapping action with the rings and mouthpiece. One Stop Equine Shop is an online horse tack store specializing in horse bits. It is also easy on the mouth with copper inlay. 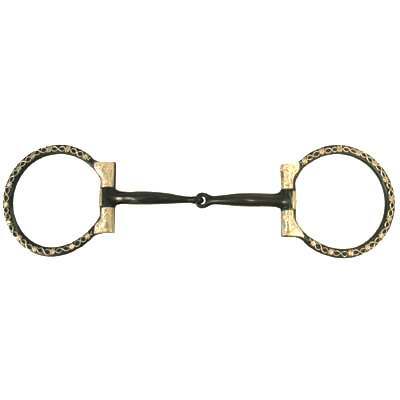 Take a look at this horse snaffle bit that we have in stock.